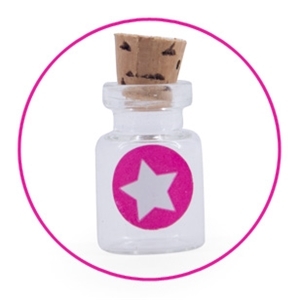 Look at those cute small bottles! You’ll get some small pieces of paper and a sticker with the order. 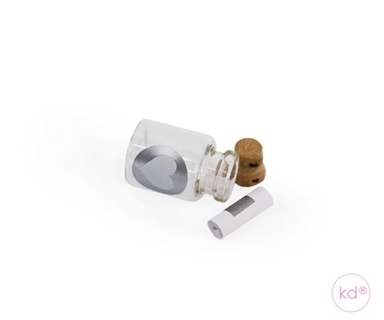 That way, you can put your own wish on the paper, roll it up, stick it together and put in the bottle. 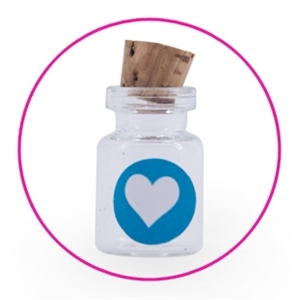 Cork on top, and you can give your very own wish to your loved one. 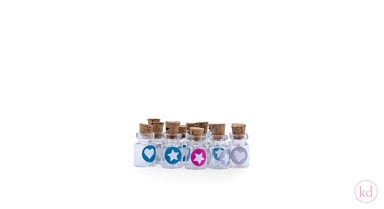 They will love the idea of a very special wish in a very special bottle, just only for them. The bottles are packed by 50 pcs.